It’s what’s left of this. I started to wait until April 29th. But my broken heart wouldn’t allow room for a gimmicky Arbor Day post. This tree and I fell in love last autumn. It was Inspiring Image #16. That’s where my empathy stems from. My camera and I had connected with its barrenness. All of its leaves had fallen, as is customary for trees during this time of year. It looked beautiful, not battered. And it certainly didn’t look like it should be destroyed. Branch by branch. I looked forward to seeing its spring blossoms during our Sunday walks. I looked forward to the bright leaves that would fill its arms. I looked forward to sharing a glimpse of its showering green and newfound beauty. We were going to re-connect, this tree and I. It would show off its regeneration and I would stand under it, awed by the natural recurrence of rebirth. Our energies renewed by one another. It was February 23rd. One man leaned lazily against its trunk. Another stood on the sidewalk, sizing tree up. Still, another sat atop a yellow machine. Its neck rose higher and higher. Orange cones and yellow tape surrounded the scene. Maybe they’re just removing the lone damaged branch, I thought. Hope against hope. I’ve always loathed that phrase. Wouldn’t the two cancel each other out, leaving no hope at all? Upon my return, I’d ask them what they were doing. An hour and a half later, and like a stage-play, the setting had changed. All that remained was a stump. “Did you take a picture?” Dwight asked. Eventually, I could. And I did. The stump saddened me. Remaining scattered woodchips seemed irreverent. Couldn’t they have cleaned up better? A lopsided hew appeared haphazard. All of that machinery couldn’t produce a clean cut? Who has time for discriminate chops when there’s more of nature to disassemble? Who has time for anything when one’s job is to destroy trees that are minding their own business, waiting for spring, like you and me? February 26th, the tree guy was back. Shows what I know. I guess tree’s time on this earth had ended long ago and I had been marveling at its carcass. Hmmmph. That thing is little to do so much damage. Aw Chanel! I’m sorry you can relate! That sounds awful that you have to look at it daily as a reminder. Maybe that’s what happened to this tree. I’m going to brighten it up and build a memorial around it sort of speak! I googled some pics on how to beautify a tree stump and found some really creative ideas! My tree didn’t die for nothing! Lol! It’s sad to see the cutting of live trees. It’s even annoying when people chop down forests for money but we can always hope for new growth. I have yet to see people cutting down trees because it is dead. In my country, everywhere we go are greeneries. We have a tree planting day every year. That sounds so wonderful Ally! In fact, I think it should be annual practice do every community. Yeah, it would be good to have this practice so that we help to replace the resources that’s being cut every second. As I was reading this Kathy, I was wondering “why” and got my answer at the end. Like one of your other readers said in our area when a tree is cut down another has to be planted. Very beautiful indeed. The tree had to go. 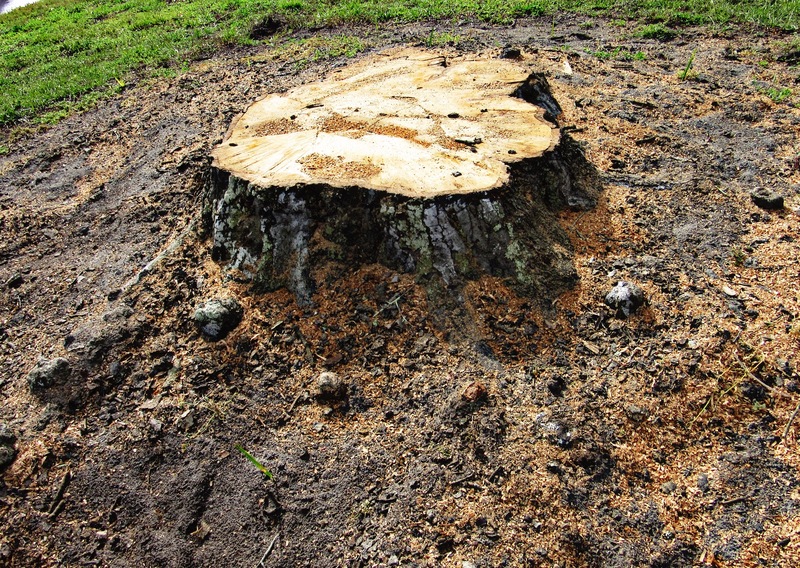 Most things have no memories, but the tree still has a stump that it can be remembered by. As someone already said above, it’s always sad to see a tree go. In my city, you need to get City Hall,s permission before cutting one down and when you do, you must plant a new one. That sounds like the best idea. Replace what you’ve decided to tear down (cause it was probably because of you that it died in the first place). For the past few years we’ve been plagued by a certain insect (can’t remember the name) that eats the inside of the tree and hollows it out So people have to cut them down because falling limbs/trunks from mature trees could cause serious injury. Wow Kathy. I think this is my favourite post of yours (maybe secind only to the justice one). Beautiful writing. I suspected it was dead, but my heart still broke with yours as I was reading. Totally an aside, but your penultimate reminded me of a case in Australia of 2 adult women who have delayed the burial of their mother for a whole lot of ‘legal’ reasons- first attempting to sue for medical malpractice, then establishing that her organs were really hers, etc etc. Then after a recent court order that they must bury her- they’ve further delayed as they aren’t sure what to dress her in?!? She’s beenn dead 12 years! Incredible story of the human psyche. Thanks for this comment! I’ll definitely check out the link soon. Naw – this is real life. There’s no new, smaller, renewal going on. Always sad to see a tree go. 😦 Here in our tree-hugging village, people protest that kind of thing. A person climbed into a historic orange tree when the tree cutters came and had to be removed by the police. Owner said the tree was an accident waiting to happen and he couldn’t risk getting sued. This happened with one of the trees alongside our house some years ago. We were loathe to have it cut down, but it was already rotting inside, though the decay hadn’t made it out. Apparently we had the same problem with the big tree right next to our house, too, in addition to its roots disturbing the house’s foundation. That tree of so many childhood adventures went down, too. What used to be my mom’s house looks strange and empty without it, but I take some comfort in the ways my younger sister and I have commemorated it. In our hearts, it lives with us. I guess I feel the same way as I do about the birds. I’m sure trees rot all the time in forests, etc. but for some reason it seemed egregious to cut it down. Seemed like it was just because the apartment people didn’t want the eyesore, but then again, I know nothing about trees and such. Well, that was unexpected. I was expecting it to be a story about someone clearing the way for a new smaller ornamental tree. Huh. Well. It was still beautiful – dead or not. So.